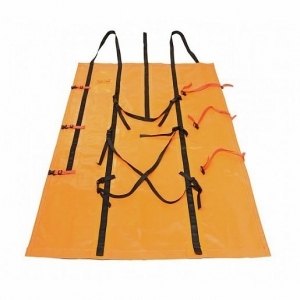 A lighter version of the Game Sled, more compact and fits in the backpack for when the need arises to extract your game. Well suited for your average sized deer and the lighter game animals; will provide protection of your game and provide years of service. If you’re looking for a lightweight, cost-effective, no-nonsense game extraction unit, look no further than the Game Gurney™. 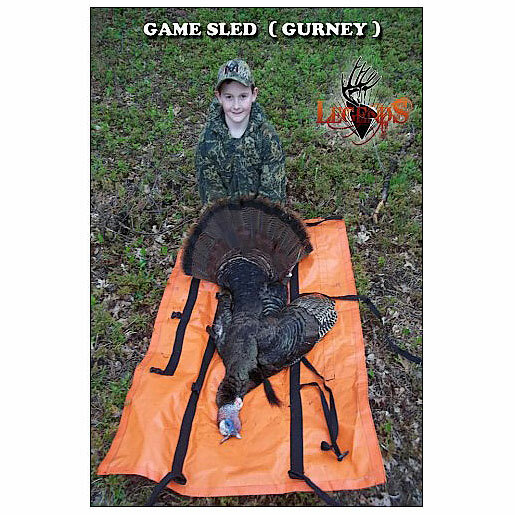 The unit weighs just over 3 pounds and can handle the removal of game up to 185 pounds. 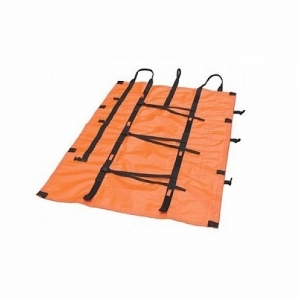 The Game Gurney™ provides the same “ground-gliding” ease and “simple strap” simplicity as the original Game Sled™. Having a footprint of 59 inches by 48 inches that allows retention for many game sizes. 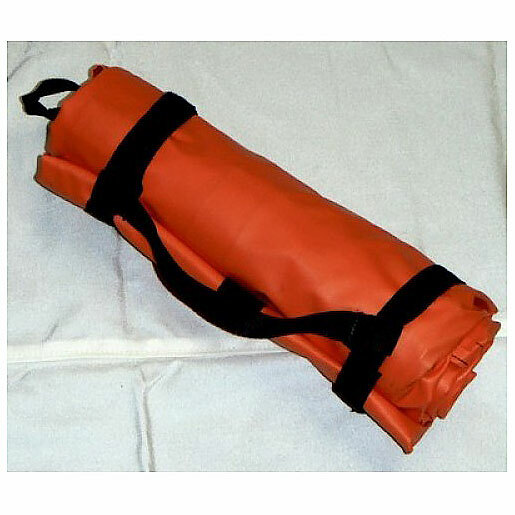 The Game Gurney™ utilizes a “Cinch-N-Carry” strap method to carry the unit afield in lieu of a storage bag. This allows for easy transport within a backpack, around your waist, or even in your hand. In its closed state, the Game Gurney™ is about 4 inches in diameter and only 14 inches long! 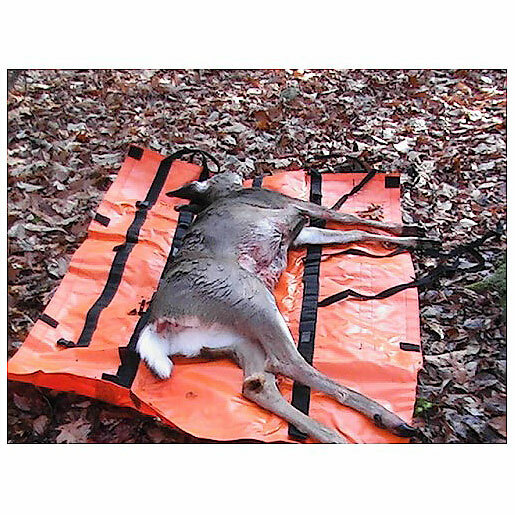 It comes in hunter safety orange to provide the maximum visibility when extracting game animals from the wood/field. A Cameo carry bag can be supplied, requires special request (Use Contact Page to inquire) . 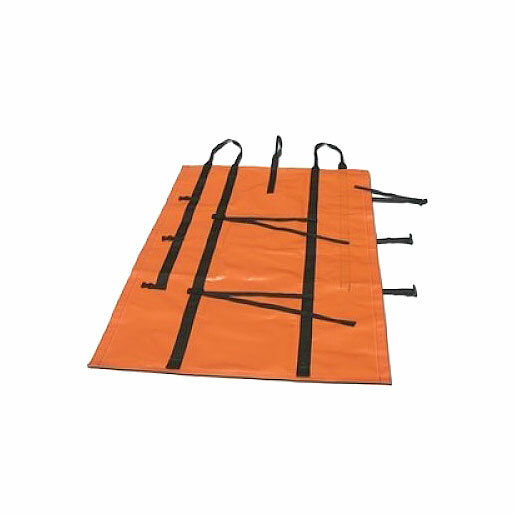 -Detachable lifting handles – To assist in carrying the Game Gurney™ over rough terrain and help to lift your animal onto an ATV or vehicle.